A couple of weeks ago we had a major rainy afternoon. It bucketed down like crazy. Just as I was stepping off the bus another storm cell hit and dumped even more water from the sky. By the time I was halfway home my backpack was completely soaked. Luckily just about everything survived the deluge, important stuff like my mobile phone and my work diary were damp but okay. 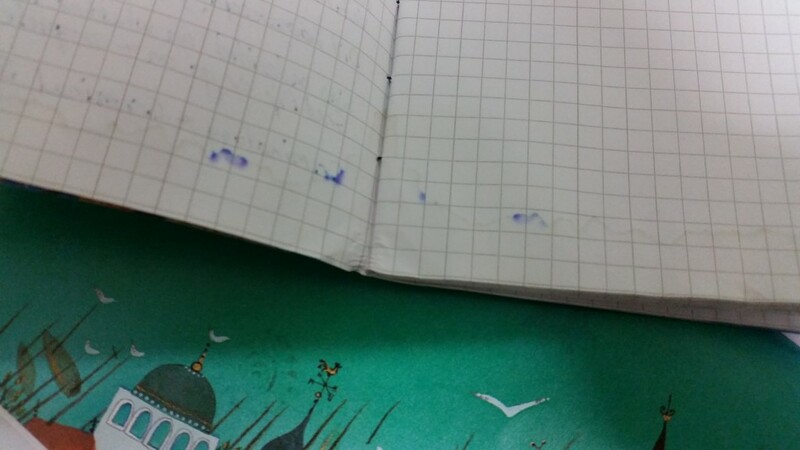 My fauxdori (homemade Midori Traveler’s Notebook) was not quite so lucky. The leather cover dried out nicely but the notebooks inside were all water damaged at the bottom. This was one of my handmade inserts. The fountain pen ink has run and the paper has torn where the elastic holds it. The genuine Midori notebooks fared a little better. There was still a lot of ink run, but the spines didn’t tear and the paper dried out fairly nicely. It was time for a quick notebook replacement. 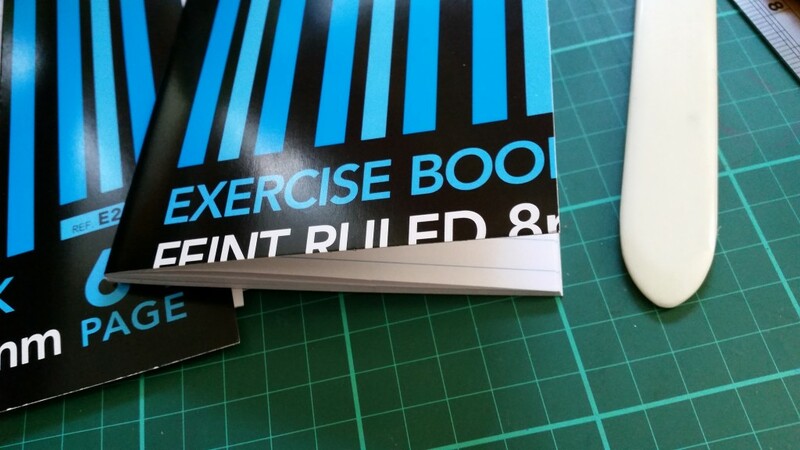 Enter the trusty guillotine and a cheap 64 page exercise book. 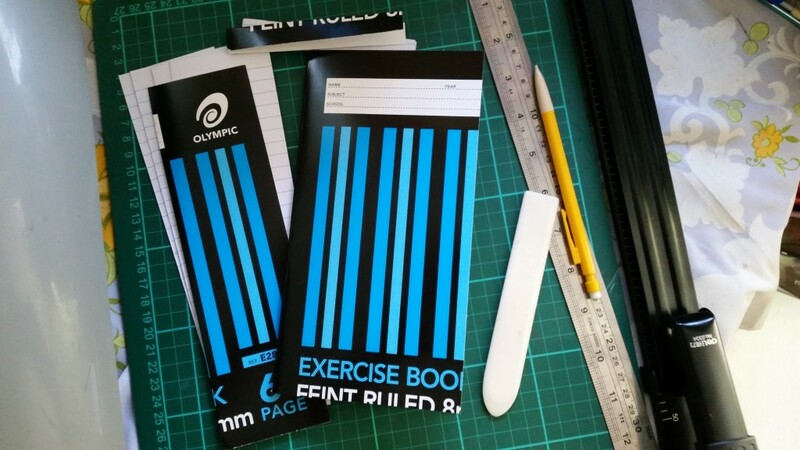 A perfect replacement for my everyday jottings notebook – no need for fancy paper here. Just need to decorate the cover now. This entry was posted in Journaling and tagged Custom Inserts, Notebook, Re-purposed, Travelers Notebook by Sammie. Bookmark the permalink.